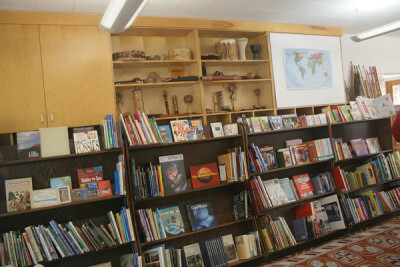 These are great pictures of two of our favorite parts of our classroom: our extensive "research" library and our unique collection of musical instruments. We use these books as a resource for Reading Workshop and the children have time at the end of each day to explore books on these (mostly) non-fiction bookshelves as they wait for parents to arrive. They are beginning to explore topics ranging from aviation to space to art, all on their own. Our musical instruments provoke much wonder and curiosity as we discover how they are played, where they are from, and what unique sounds we can make with them. We will continue to explore this collection throughout the year so if anyone has any insights about these instruments...perhaps experience playing a Didgeridoo?...please let us know!